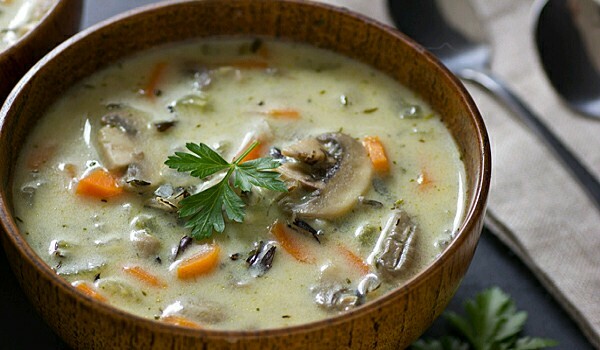 Wild Rice And Mushroom Soup is a nutritious recipe. Learn how to make/prepare Wild Rice And Mushroom Soup by following this easy recipe. Put vegetable stock in a deep bottomed vessel or a pot. Mix in chopped onion, green bell pepper, and chopped fresh parsley. Reduce heat to low. Cover the pot and simmer it for about 15 minutes. Blend in wild rice. Simmer for 40 minutes. Mix in sliced mushrooms and red wine.